Praveen Chitravel was third with a jump of 15.84m in Stage 1. In the second stage he cleared a distance of 15.68m to finish fifth. 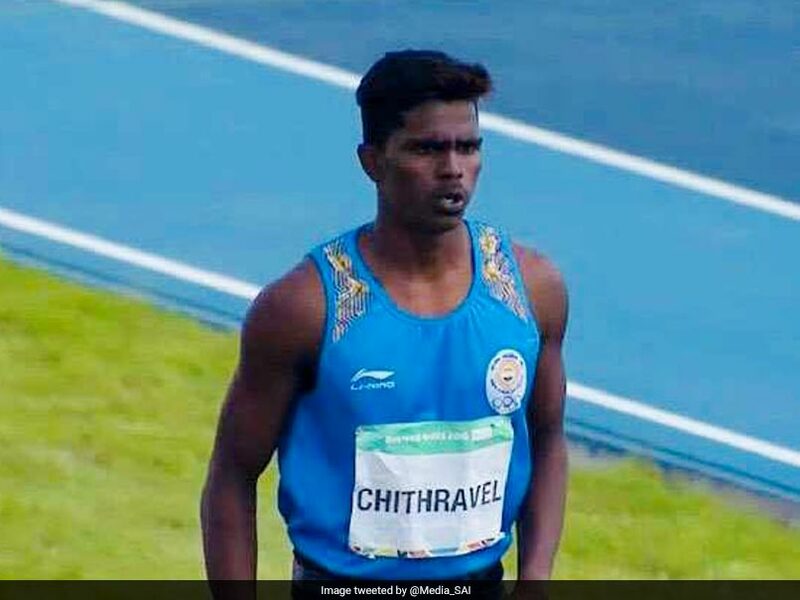 Praveen Chitravel, a farm labourer's son from Tamil Nadu, clinched a bronze medal in the men's triple jump to give India its second athletics medal in the ongoing Youth Olympics. The 17-year-old Praveen, who hails from a village in Thanjavur district, cleared a distance of 15.68m to finish fifth in the Stage 2 competition Tuesday night but his good showing in Stage 1, where he was third with a jump of 15.84m, took him to the podium with a combined effort of 31.52m. In a new format, there are no finals in track and field, except for the 4km cross-country, in the Youth Olympics and each event is held twice, with results from both rounds counting towards the final standings. Alejandro Diaz of Cuba won the gold with a combined effort of 34.18m (17.14m + 17.04m) while Emmeanuel Oritsemeyiwa (16.34m + 15.51m) of Nigeria took the silver. This was India's second athletics medal in the ongoing Games after Suraj Panwar clinched a silver in the men's 5000m race walk event on Monday. Praveen, a gold medallist in the inaugural Khelo India School Games this year, belongs to an extremely poor family in a small village in Thanjavur district in Tamil Nadu and his father is a daily wage farm labourer. Praveen luckily met a mentor in Indira Suresh, an athletics coach at the Centre of Excellence for Boys in Chennai who is an employee of the Sports Development Authority of India, and she groomed him. He now trains under Indira at Nagercoil. "When Praveen was in Class VII at the CoE in Chennai, I spotted him and took him under me. When I was shifted to a college in Nagecoil, he also came to me and said he will train only under me. So, I got him admitted to my college," Indira told PTI on Wednesday. "Not even Praveen, his younger bother also is training under me now. "He is from a very poor family in Thanjavur district, his father is a daily wage farm labourer and his mother is a housewife. He has an elder sister and a younger brother. His father's meagre income cannot support the cost of his training," she added. Praveen won a silver medal in the Junior National Championships in Coimbatore this year and Indira feels that he has the potential to reach the highest level and compete in the Asian Games, Commonwealth Games and Olympics in future. "Praveen has the talent and he is very hardworking. He rarely goes home, and so his father comes to meet him. I want to groom him as a national champion and then represent the country in the Asian Games and the Olympics," she said. He now studies B.A. first year at a college in Mangalore in Karnataka under the sports quota but still trains at Nagercoil. "Praveen goes to Mangalore only to appear for examinations as he gets exemption from the college to train at Nagercoil with me. He was earlier in the national camp briefly. "He gets some stipends and with some financial support from others, I am supporting him in his training, participation in competitions etc. His family has no money to support him in his athletics career," the coach said.